All our wines are available to the vineyard or among cavists. We are open Monday to Saturday included, from 9 to 12AM & 2 to 6PM. We make also mail-order selling, thanks for consulting us to obtain our price and goods of order while clicking here. 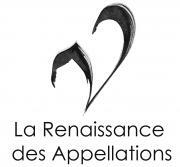 It is with it only an “appellation controlee” of 7 hectares only. 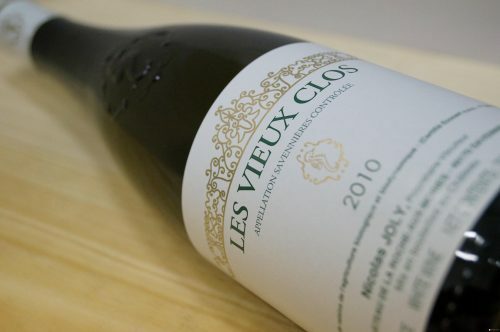 Located on very stiff slopes, dominating the Loire, the vines resulting from the type of vine “chenin” have more than 35 to 40 years of average age; oldest having more 80 years give wood to make new vines carrying the originality of the place. Partly cultivated with the horse, or the hand, the average output is with 20/25 hectolitres per hectare (40 authorized). The ground far from thick, (20 with 40 cm on average) is on a red schist bottom obliques which drains the vines perfectly. It carries another appellation : Savennières Roche aux Moines. The Middle Age of the vines is approximately 25 years. The grounds also made up of schists are a little thicker (30 with 80cm approximately). The outputs are of 25/30 hectolitres per hectare (50 authorized). The slopes less marked than for Casting are directed towards the east. The wine makings are made out of wood (never more than new wood 5%) and produce approximately 8/10 000 bottles per annum. 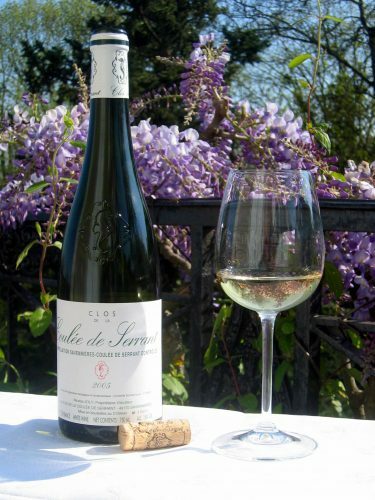 It carries also appellation Savennières. The vines of an Middle Age of a score of years result from selections massales, and not clonales, to increase aromatic complexity. The grounds are primarily made schists but also sometimes of quartz and more rarely of sand. The outputs are of 30/35 hectolitres per hectare (50 authorized). Wine making out of wood or tank. Production: approximately 15 000 bottles/year. 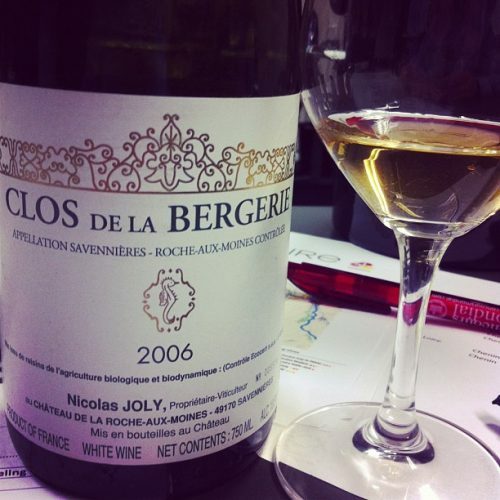 Chenin gets its complexity only when it is fully ripe – deep yellow. And only healthy, sustainable farming can guarantee this without grey rot. 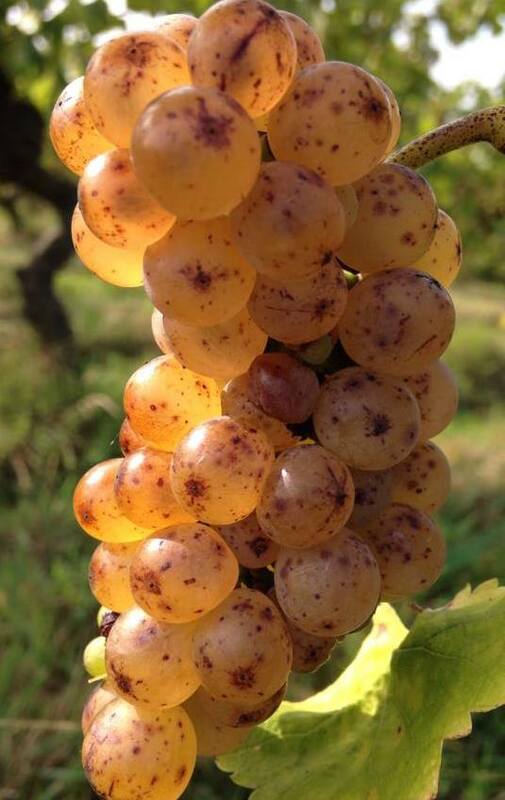 For this reason, all our grapes are picked in four or five passes as each parcel begins to raisin and form botrytis – thereby allowing the mineral flavors of Chenin to achieve their fullest intensity. Once opened, wines made in this way continue to improve – and are in no way oxydized. To be sure that the color is not oxydation you can make the test yourself by tasting each day a glass over several days without putting the bottle in the fridge just recork. You will see the wine improving the first days even sometimes over more than a week. If the wine would be oxydized it would be undrinkable. Our wines go well with white meat in sauce, fish with beurre blanc or even simply with a good cheese like goat cheese or Cantal. Open few hours in advance or carafe the wine. Serve at 14°C / 57°F. The quality of a wine is done especially before the vintage : the storeroom should be has our eyes only one maternity and never a factory. 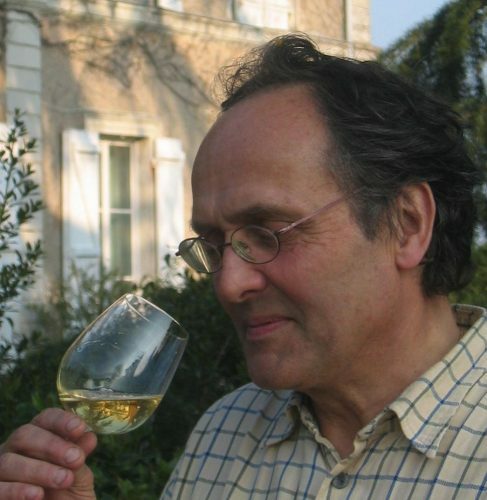 The wine making remains very simple; a certain number of acts like the relevurage, aromatic or not, osmosis etc… are banished (see data sheet). The wines are stored especially in old undergrounds or the bases of the castle.